At least 60 wildfires are burning in the U.S., including the Carr Fire in Northern California that's already proven deadly. Dry, gusty winds are expected to keep spreading the fires out West, where brutal heat again is in the forecast. Fresno, California, has seen three straight weeks of at least 100 degrees, tying a record expected to be broken today. A record-high 91 was recorded in Seattle. The low temp in Death Valley, California, was 100 degrees on Thursday. 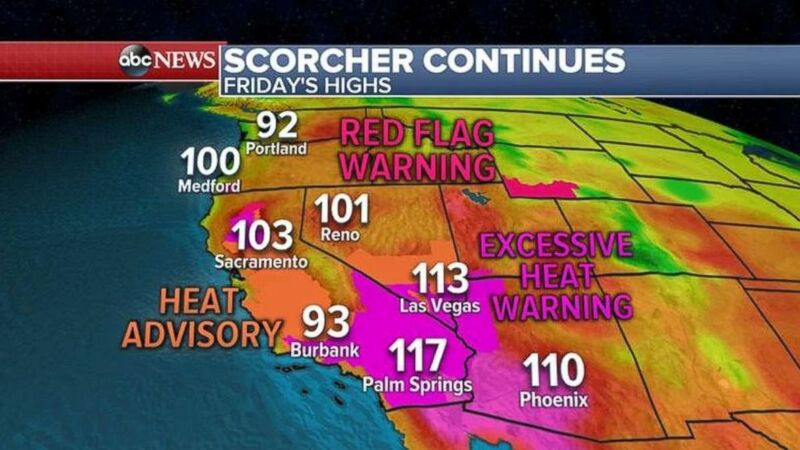 Fire conditions in Northern California and southern Oregon and southwestern Wyoming are dire as heat advisories and warnings are again expected in much of the West. Scorching-hot high temps today will exacerbate already dangerous fire conditions out West. There were almost 100 damaging storm reports on Thursday ranging from the Plains into the eastern Great Lakes. Wind gusts in parts of Ohio topped out at more than 60 mph, and now this front is moving into the Northeast, which is threatened with damaging storms all the way from Washington to New England. Damaging winds, hail and tornadoes are possible. 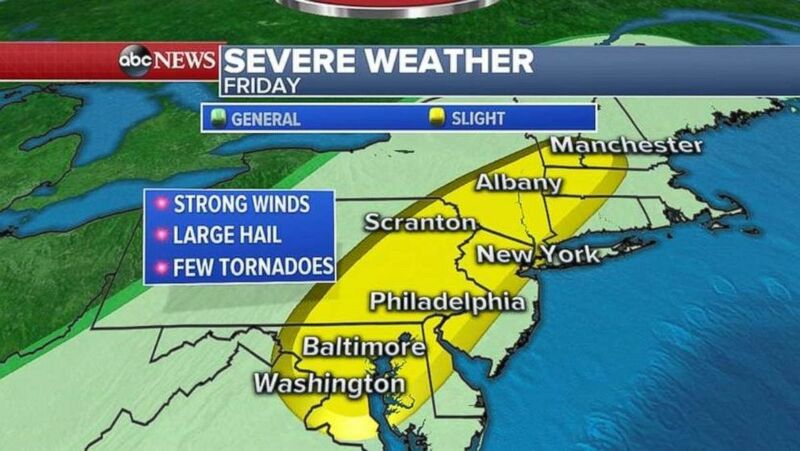 Severe weather is expected today along much of the East Coast. Additional rainfall could soak the already-waterlogged mid-Atlantic, meaning more flash floods in the region are possible. As far as the rest of the U.S., a large portion of the Plains may see severe weather today in the form of damaging winds, hail or tornadoes. 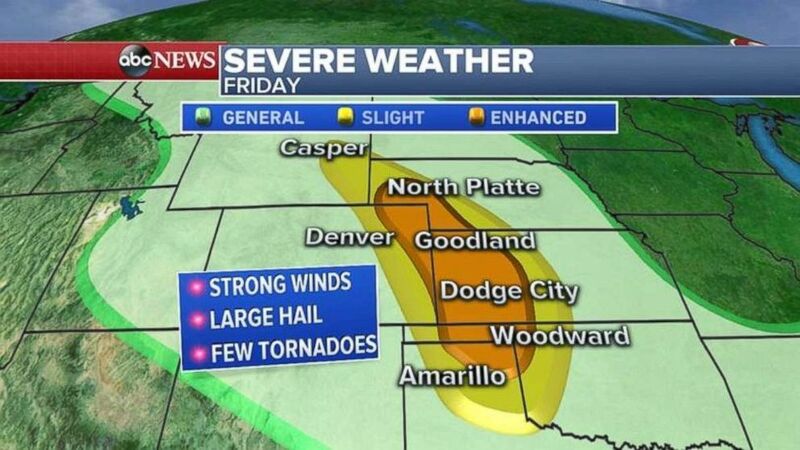 Tornadoes, damaging winds and hail are possible in a wide swath of the Plains today.